Now you have made the decision to switch to electronic cigarettes, you just want to get going! What better way to do so than trying a Gamucci e-cig? The Gamucci E-Cigarette Micro USB Starter Kit supplies everything required for immediate use, including a pre-charged battery so you can start vaping straight away. With a cig-a-like design and advanced VaporCore Technology, this Gamucci e-cig starter kit is a great introduction to the vaping world! Some of our stock of the Gamucci E-Cigarette Micro USB Starter Kit is nearing its expiry date and, in light of this fact, we are offering the affected stock for a discounted price of £4.00. Act quickly, as this offer is only available while stocks last! 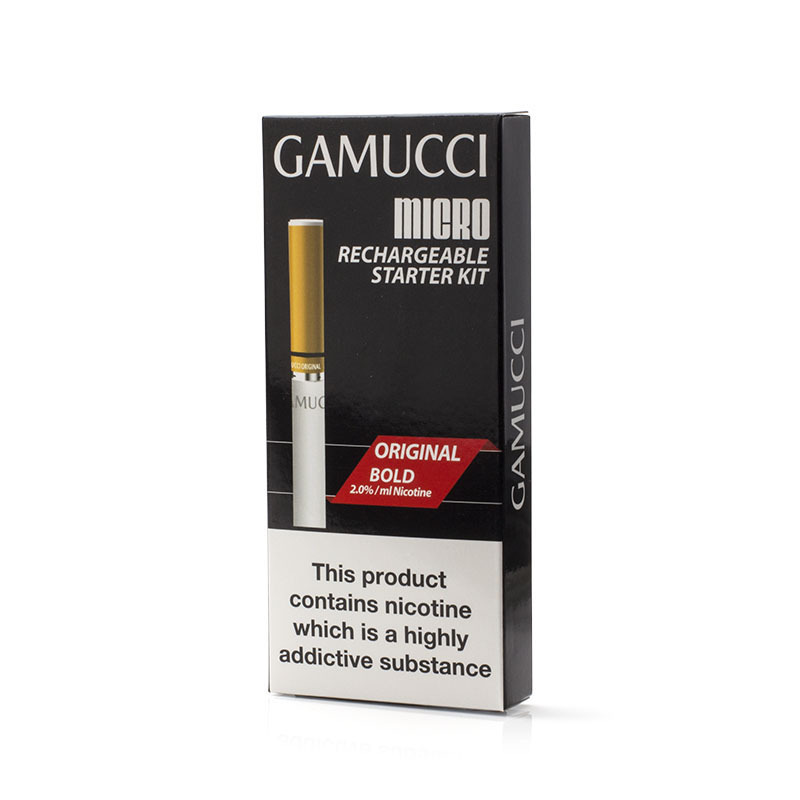 What Does The Gamucci E-Cigarette Micro USB Starter Kit Contain? Everything you require to start vaping!